Today is Monday, May 1, the 121st day of 2017 in the Gregorian calendar, with 244 days remaining. 1,360 days until the end of Donald Trump's term as President, assuming he doesn't resign or is otherwise removed from office. 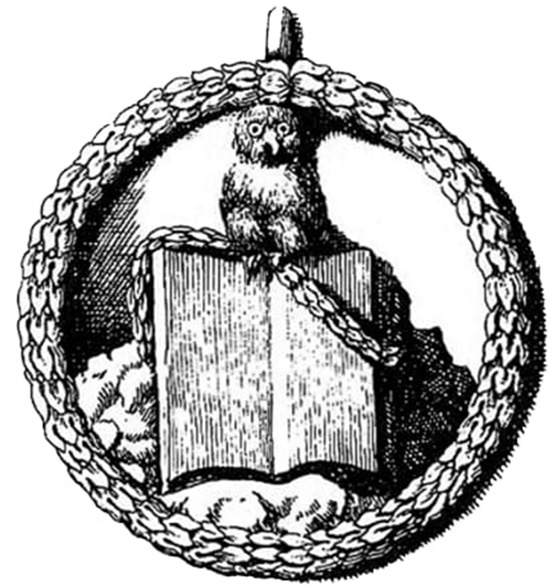 On this day in 1776, the Bavarian Illuminati secret society was formed. Its goals were to oppose superstition, obscurantism, religious influence over public life and abuses of state power. "The order of the day," they wrote in their general statutes, "is to put an end to the machinations of the purveyors of injustice, to control them without dominating them." In subsequent use, "Illuminati" refers to various organisations which claim or are purported to have links to the original Bavarian Illuminati or similar secret societies, though these links are unsubstantiated. They are often alleged to conspire to control world affairs, by masterminding events and planting agents in government and corporations, in order to gain political power and influence and to establish a New World Order. Central to some of the most widely known and elaborate conspiracy theories, the Illuminati have been depicted as lurking in the shadows and pulling the strings and levers of power in dozens of novels, films, television shows, comics, video games, and music videos. Among other things, today is also National Chocolate Parfait Day. "Millionaires are generally such appalling creatures. Fortune, while giving them money, frequently deprives them of both brains and personal attractiveness." New York State lawmakers devise law to see President Trump’s taxes. The bill introduced in New York’s Senate and Assembly would require the state to release five years of state tax information for any President or vice president who files a New York state return. While Trump’s state return wouldn’t include all the details from his federal return, it would offer the public much more information about the Republican President’s potential conflicts of interest or how his finances would be affected by his own tax cut proposal, according to supporters. Comedian Hasan Minhaj blasts Trump, media at correspondents' dinner. "Only in America can a first-generation Indian Muslim kid get on this stage and make fun of the president," he said. "The orange man behind the Muslim ban. Even the president is not beyond the reach of the First Amendment." "Superman Vs. the KKK" getting film adaptation, which chronicles the true-life story behind the making of a 1946 radio drama where the Man of Steel takes on a thinly-veiled version of the Ku Klux Klan. GOP, Trump fold on funding bill. No money for border wall, no defunding "sanctuary" cities, no defunding Planned Parenthood. The deal protects 99 percent of the Environmental Protection Agency’s budget and increases clean energy and science funding in spite of Trump’s calls to cut all three priorities. ...a massive surge in deliveries to residential dwellings, one that's outstripping deliveries to commercial establishments creating a traffic nightmare. Worse than everyone jumping in his/her individual car to go shopping? Eerie tech promises to copy anyone's voice from just 1 minute of audio. I think I saw a Star Trek episode about this. What could go wrong? Google and Facebook hit by $100 million phishing scam. The scammer forged corporate stamps, email addresses and invoices and pretended to be a foreign tech company that both Facebook and Google does business with. For over two years, the man sent phishing emails to employees of the targeted companies and convinced them to wire-transfer millions of dollars at a time to a fraudulent bank account. The vindication of Rachel Maddow... Journalists panned her report on Trump’s tax returns, but it produced the best evidence the President's tax proposal boosts his own bottom line.